S/V 'Sea Sparrow' is a Non-Chartered boat that is for sale by owners. 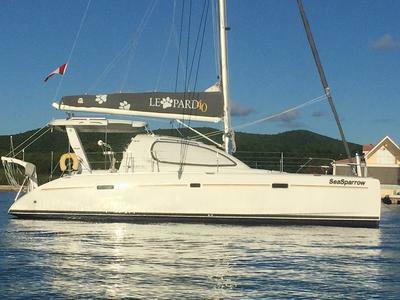 The award winning 2006 Leopard 40 has proven itself as a great cruising catamaran since its inception. SeaSparrow is a lightly used Leopard as it has averaged less than 5 months at sea per year while being safely stowed on the hard when not in use. This boat has been meticulously cared for (maintenance records available upon request) and upgraded by its owners and this high level of maintenance is evident in the appearance and condition of her operating systems. For those interested in sailing immediately SeaSparrow is truly a turn key catamaran. The sale will include everything needed for the potential buyer including spares, tools, linen, cutlery, Honda 2000 generator, swim/snorkel/scuba equipment, etc. etc. 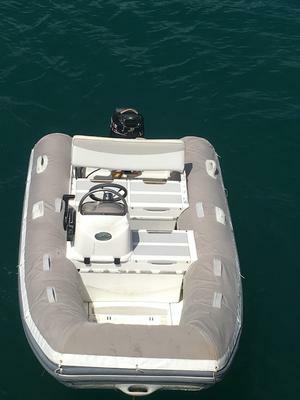 Also included is a Walker Bay 310 dinghy with rarely found centre console and seating along with a Mercury 15hp outboard. 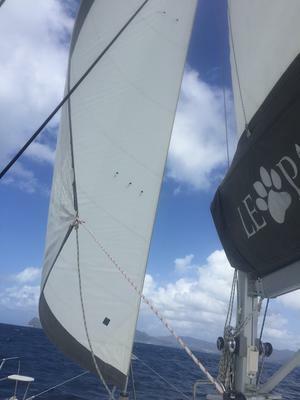 Owners are currently sailing in the Caribbean in Antigua area. 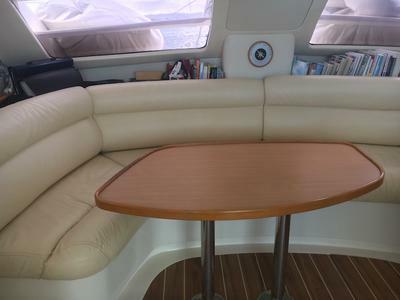 This a a great boat at a great price, and is the opportunity you have been waiting for to realize the dream of sailing the Caribbean or the World. - 2 heads are each equipped with toilets, holding tanks, hand basins, showers & mirrors. - single sleeping berth in the bow of each hull. This berth could also be converted for storage use. - Hot & cold pressurized water in the galley and heads. - Plates, bowls, pots, pans, cutlery, etc. - Fire extinguishers, flares, air horn, etc. - Thousands of dollars worth of tools and spares included. As of September 2018 under agreement of sale pending survey(scheduled for early November).